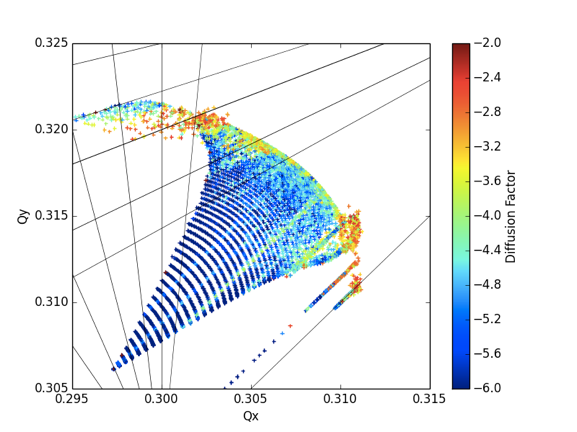 The SixTrack application simulates 60 particles at a time as they travel around the LHC ring, and runs the simulation for 100,000 loops (or sometimes 1 million loops) around the ring. That may sound like a lot, but it is less than 10 seconds in the real world. Still, it is enough to test whether the beam is going to remain on a stable orbit for a much longer time, or risks losing control and flying off course into the walls of the vacuum tube. Such a beam instability would be a very serious problem that could result in the machine being stopped for repairs if it happened in real life. With Sixtrack's help, the LHC beam physicsts and engineers are making the adjustments needed to create cleaner, more stable and safer beams. No articles on this project at the moment.